You know those great yard glasses you can easily find on the streets of Vegas? 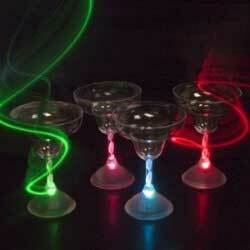 Well here we have a half-yard glass with LED lights on the bottom illuminating your entire drink! Go to any party with this in hand and you will instantly steal the show. 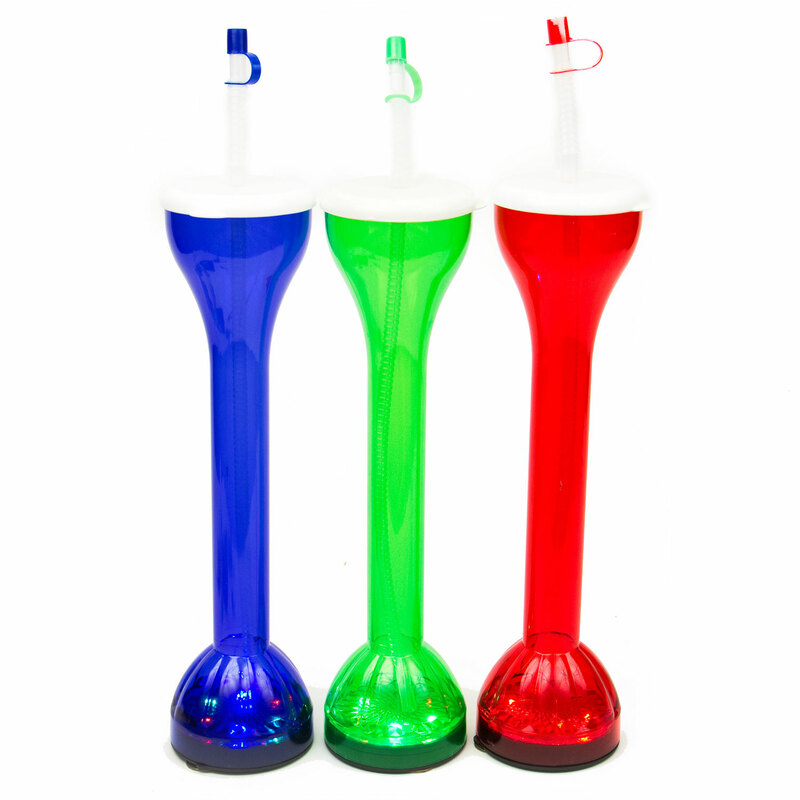 It comes in various colors like Green, Blue, Red, and Clear with a straw and White straw cap. 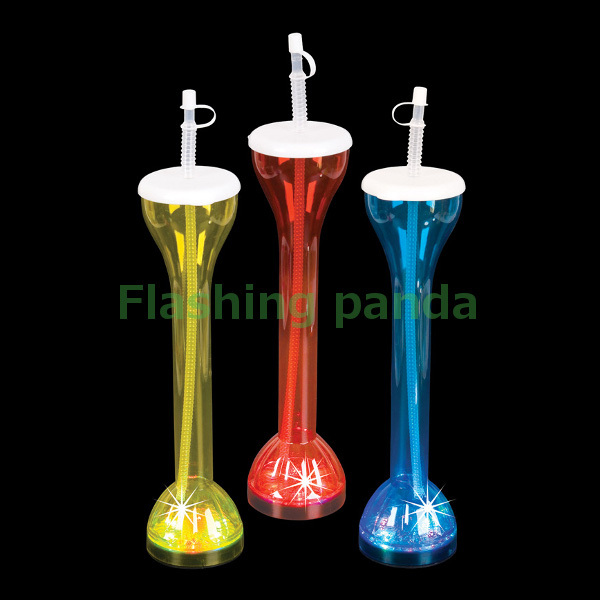 This light-up half yard glass is made of quality, safe, plastic with replaceable batteries. 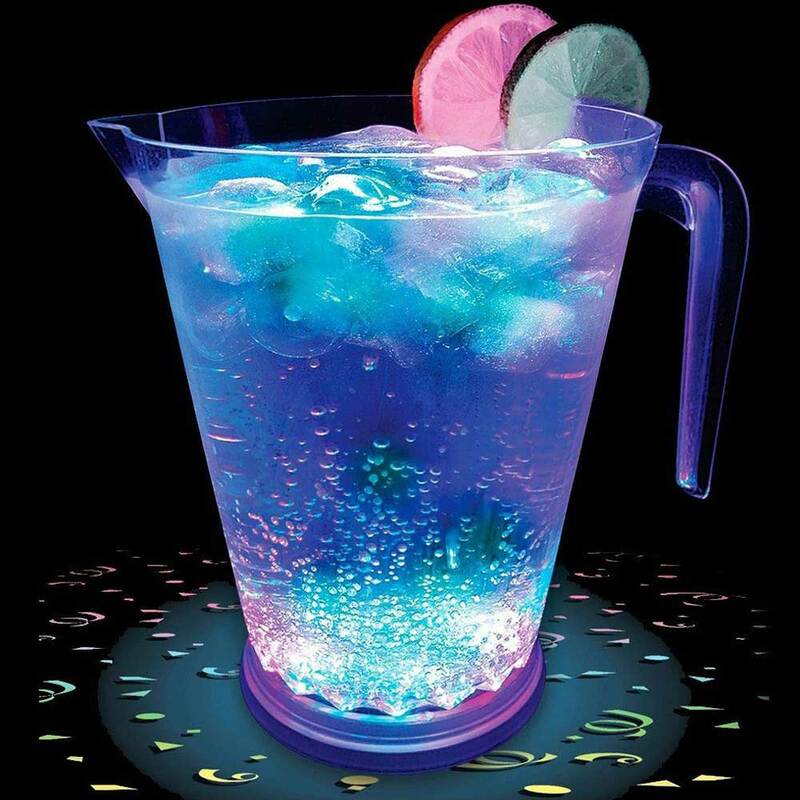 The flashing LEDs on the bottom light up the entire glass and the beverage. To activate the flashing 17 oz Yard Glass, simply slide the switch on the bottom of the base to ON. This glass also has a battery-saving feature! 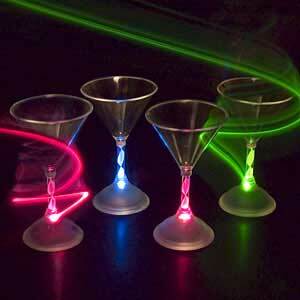 Pick up the glass and the LEDs begin to flash, set the glass down and the LEDs will stop flashing. Bottoms up - buy yours today! 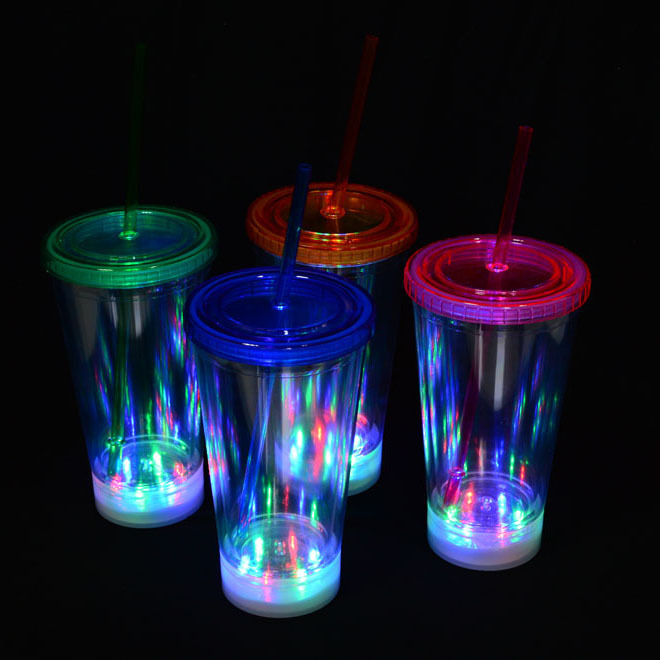 These amazing LED Yard glasses make great gifts for any occasion or party goer, and are great for that hard-to-shop-for party person. If you're looking for a really cool gift, look no further!